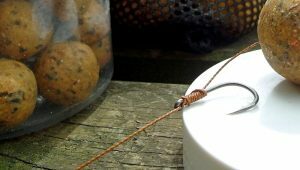 Matt’s super light semi fixed lead setup achieves the best of both worlds and makes a very safe carp rig. 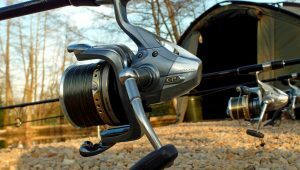 Wherever we go carp fishing, up until now, most of us have had to make a simple choice between semi-fixed or running leads. 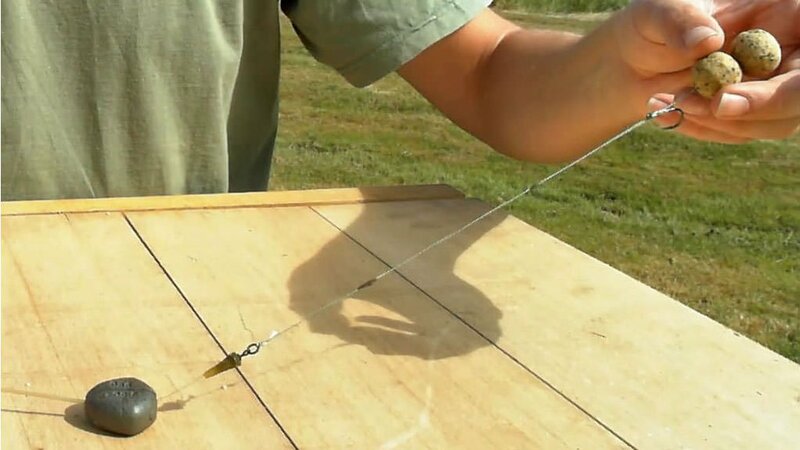 ► Semi fixed leads are great at pricking the fish but not so good at letting you know that this has happened if the fish swims towards you or sideways. ► Running leads are great at letting you know every last detail of rig movement in all directions but not so good at pricking the fish in the first place! 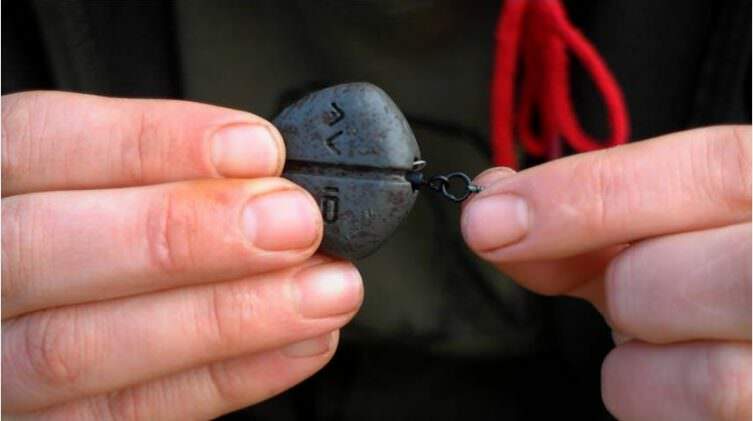 Its carp angling’s proverbial rock and a hard place and most of us choose the semi fixed option. A number of years ago I saw a Korda in-line lead being pushed over a Korda anti tangle sleeve. It was at this moment I realised that this really could give you the best of both worlds and provide distinct advantages when angling tight to marginal features. I call it a “super light semi fixed” bolt rig. How does this semi-fixed running lead setup work? The fish is pricked when the hook length tightens against the weight of the lead. From underwater footage we know that a carp, on realising it’s been being pricked, will immediately shake its head to rid itself of the rig. ► The lead is fixed strongly enough to stay fixed in place when pricked. This means it delivers the full weight of the lead to the point of the hook. 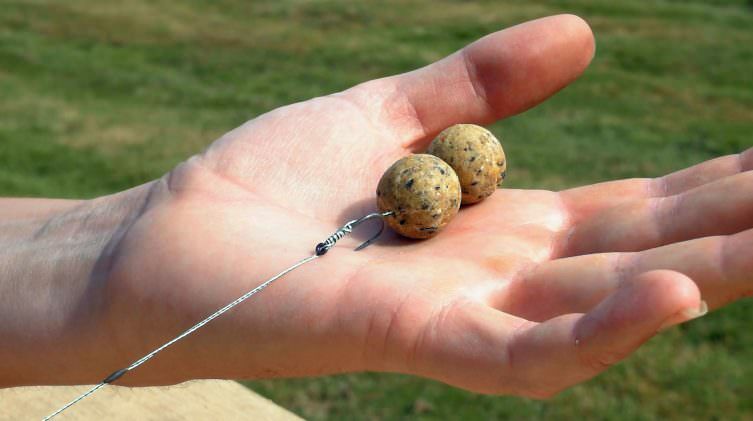 ► The lead then drops off the sleeve and slides down the line when the carp shakes its head. This means that the fish can’t use the weight of the lead to swing the hook out. The pressure on the hook is released slightly and the fish may feel that it’s got away with it. Inevitably the fish will then attempt to move off. Gravity and the friction generated by the lead hold it in place on the lake bed and make it act as a pivot point for the mainline. 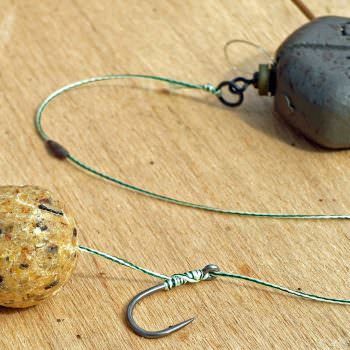 Whichever way the fish moves, it will pull the mainline through the lead giving us a positive bite indication (there is no such thing as a drop back bite with this setup!). The fish is now working against the lead, the friction of the clutch on the reel and the resistance of the line under water. All these elements combine to add an some elasticity and constant tension to the system which makes it very difficult for the fish to deal with. They also combine to further pull the hook home and ensure that it’s properly hooked before you even pick up the rod. The key to this setup is to remove the plastic insert supplied with the inline lead. With the insert gone, the lead is able to run freely on the tubing. Tail rubbers are normally used at the top of the lead and slide over the plastic insert to eliminate tangles. 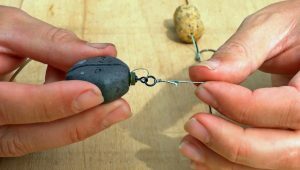 By placing the tail rubber over the swivel and sliding the lead over it, you can create just the right amount of friction to hold the lead in place to prick the fish but one shake of the carp’s head, and the lead slides away and acts like a running rig. You can make this setup from a range of different manufacturers’ components. No need to buy Avid groove leads and sleeves if you already have some Korda ones available for example. As long as the setup performs in the way I’ve described above, you’re good to go. I like the Avid groove leads as it’s easy to remove the insert and the lead shape generates a very positive bolt action. The only way to make sure it’s going to work properly is to make the rig with the components you have and test it. For more information about what I call the “indicator tail” above, check out: “How to tell the difference between a line bite and a dropped run”. 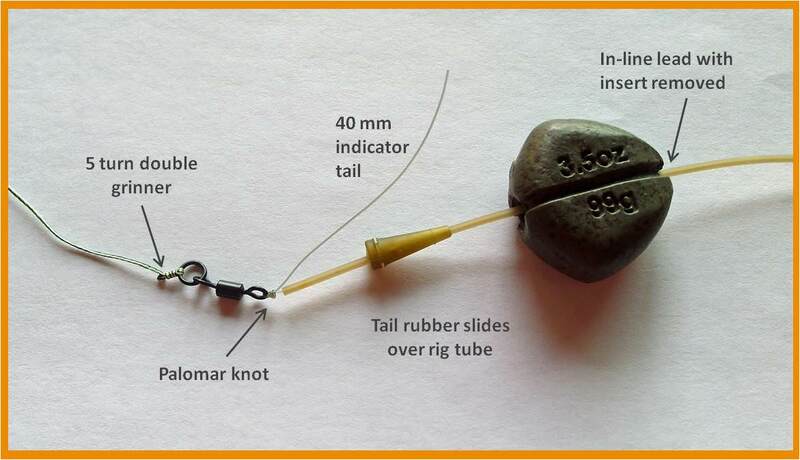 For more details, check out this video of my bottom bait rig and in the second half, you’ll see how to setup this semi fixed running lead system and exactly how it works. 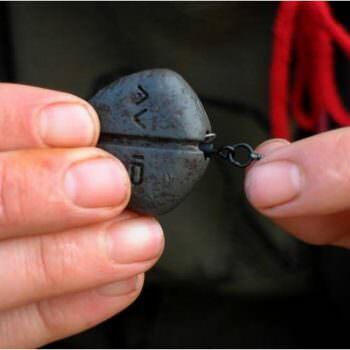 ► Once the carp is hooked, the lead must be able to come free of the mainline in the event of mainline failure. 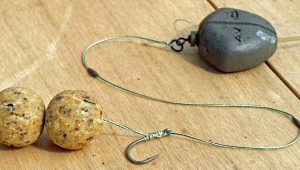 Rigs that work in this manner are termed “Safe Rigs” and are the only type of rig that should ever be used when fishing for carp. The carp may be left with the hook + hook link + a small amount of main line but that is all. A carp is perfectly capable of using some marginal tree roots to unhook itself. 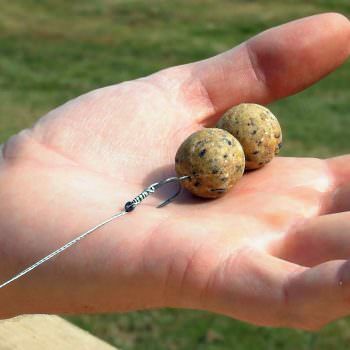 Carp rigs are designed this way as the hook link is often of higher breaking strain than the mainline. ►The rig explained here is a safe rig because the lead will slide off the silicon insert, then down the anti tangle tube and off the mainline at the point of the break. Under no circumstances should you add anything to the mainline above the lead other than the rig tube. The addition of a swivel or a split shot for example will convert this safe rig into a death rig instantly. However, you can add a few tiny “mouse dropping” sized pieces of tungsten putty to the mainline above the rig tubing to further ensure that mainline is sunken and hidden out of the way of Mr. Carp. Bites range from screamers to a series of lifts on the bobbin. As soon as line is pulled from the clutch it’s a no brainer… you’re in! But what if they don’t run? Watching the bobbin carefully, it’s easy to imagine the carp sucking and blowing and shaking its head to try and “do the rig”. At Beausoleil or other pressured venues, it’s quite common for the fish not to run. They are used to doing rigs day in day out and they expect to be able to get away with it! In order to sort liners from bites, I pay a great deal of attention to line lay and fish very slack lines. Bobbins are set hanging straight down with virtually no tension. The only time I hit the bite is when the bobbin has raised and has stayed right in front of the alarm (i.e. when I’m confident that the lead has moved). The bites can be tricky to read but trust me if you’ve followed all my other advice they will eventually attempt to move and you’ll know for sure. I use it as my default lead setup on all lakes except those that are heavily weeded (when dumping the lead is imperative). The other limit to its use is the casting distance. In-line leads will never cast as far as a swivel lead but then if you’re fishing at range you’re usually in an open water situation, where a traditional semi fixed lead setup is the way to go. Thanks very much Karl, glad these articles can maybe help you in your fishing. Cheers, Matt. First video of yours I’ve watched – exceptionally well explained and demonstrated. Many thanks. Thanks very much Paul, glad you liked the video and hope you enjoy the others that we’ve done. All the best, Matt. Hi Alan, thanks for commenting. This rig works great as a solid PVA bag and it’s an option I’ve used a lot over the years when tackling silty and weedy waters, or when fishing at range. You might want to check out my video on PVA as I talk about my solid PVA setup: https://www.youtube.com/watch?v=7y066e1Q6Xk All the best with your fishing. Cheers, Matt.